As previously seen on Hilber Psychological Services, “Broken Brain," Mark Hyman MD is Director of Clevland Clinic’s Center for Functional Medicine, the Founder of The Ultra Wellness Center, and a ten-time #1 Ney York Times Bestselling author. At the peak of his career, he suffered a broken brain, causing him to turn into someone he no longer recognized. He felt like he suffered from depression, ADD, and dementia all at once.” Mark Hyman MD created a docuseries, Broken Brain, revealing what conditions like Alzheimer’s, Dementia, ADHD, Autism, Depression, Anxiety, and Brain Fog have in common. John Mekrut interviewed Mark Hyman MD related his docuseries to neurofeedback. Mekrut’s initial journey with neurofeedback began when his daughter was diagnosed with Autism Spectrum Disorder. As early as kindergarten and first grade, he began noticing her interactions around the world were different than most children. She was disruptive and rebellious, acting in dangerous behaviors, such as running into the middle of the street. Mekrut decided it was time to get help. After seeing doctor after doctor and trying many medications, his daughter’s symptoms were reduced, but to an extreme extent. After watching his daughter suffer from weight gain, lethargy, complete absence, and much more, Mekrut realized that pharmacology was not the answer. His next attempt to help his daughter was neurofeedback. Mekrut explains, “Neurofeedback trains the brain to reduce its fears and manage its own behaviors”. He saw these results in his daughter as she became more interactive with others and acquired proper skill sets, such as handwriting. This success was the gateway of his own journey into neurofeedback. There are 5 different types of neurofeedback, all which work, claims Mekrut. He focuses on infra low-frequency training. Neurofeedback works, because every system and organism responds to feedback. Whether the feedback is good or back, our brain is constantly responding to the feedback it is receiving. Unlike biofeedback, such as measuring skin temperature or sweat glands, neurofeedback EEG signaling as a feedback mechanism to understand what is going on in the brain. The feedback that is provided to the brain is giving information to the brain to help it make the best decision. Rather than changing the brain, Mekrut explains that it “trains the brain in self-awareness and self-regulation”. One of the best aspects of the brain is its plasticity. This is what allows the brain to be trained and acquire self-regulation. For example, someone with PTSD detects threat frequently. Instead of reacting to the constant threat, neurofeedback teaches the brain to “recognize its own patterns, understand that it’s its own, and then do your organic best to self-regulate”, says Mekrut. The proof of this, is that the brain is not a constant, it can be changed. 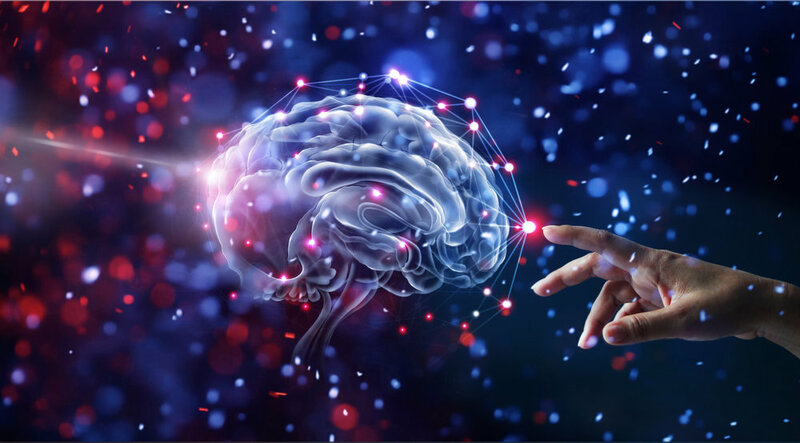 Neurofeedback is great for everyone, because it doesn’t matter if something is wrong with your brain or not, you brain can always be trained to be better. Imagine training your muscles after therapy compared to training your muscles to run a marathon. In both scenarios, you are training something to make it better. Regardless if you have a mental disorder, such as depression or anxiety, or if you’re a SEAL Team Six, your brain can always be trained to be better. This is performance training. Mekrut explains the importance on keeping your brain active. Doing brain exercises is a great way. There are many apps you can get, but even simple activities, including soduku, crossword puzzles, or even dancing, constantly keeps your brain interactive. In order to enhance your brain performance, find an activity you enjoy and go do it rather than participating in mindless activities. In part two, we will focus specifically on infra low-frequency training and more of the connections between neurofeedback and Mark Hyman MD’s Broken Brain docuseries. Reference: Mekrut, John. "Broken Brain". Hyman Digital, 2017. San Diego Center for Neurofeedback, A Psychological Professional Corporation is now open! Come see what you can accomplish when you train your brain for optimal health and performance.